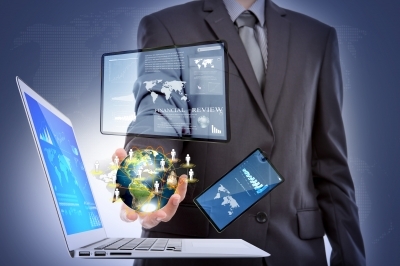 Your website should become a quality reflection of your business. Responsive Design is an approach to the design and web development which provides an optimal viewing experience of your website by scaling and reorganizing your content. The website looks perfect inside any browser or mobile device (iPhone, Android phones, etc.) as well as on a desktop computer, laptop or tablet. Google recommends the Responsive Design for best SEO (Search Engine Optimization. That means your site will get better indexing and higher search results. There is no more need for redirecting to a mobile site, all of the content is served from the same place. about 75% of users prefer a mobile-friendly site, 96% of consumers said they've encountered sites which were clearly not designed for mobile devices and 48% said that if a site didn't work well on their smartphones, it made them feel like the company didn't care about their business. We begin to visualize your sketches and make them into beautiful pixels. Your brand is all dressed up and ready to party, it's time to release. We offer professional website design services from single page web design for small business to a full blown enterprise website. Highly structured and organized sites. Compatibility with all browsers and mobile devices. Effective web-solution based on your strategy goals. 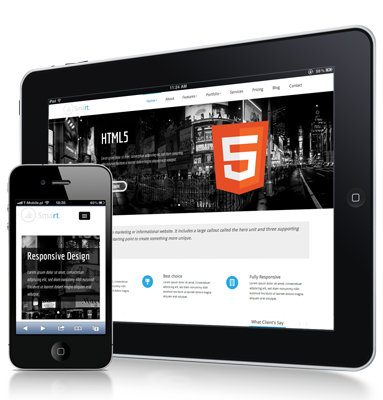 Our team works in a wide range of web technologies - we're fans of HTML5, JQuery & CSS3, Bootstrap Framework & Parallax. If you can design one thing, you can design everything. Just believe it. We offer single page website as an ideal solution for small business. Our creative designers show a professional knowledge in designing and structuring mobile friendly sites.